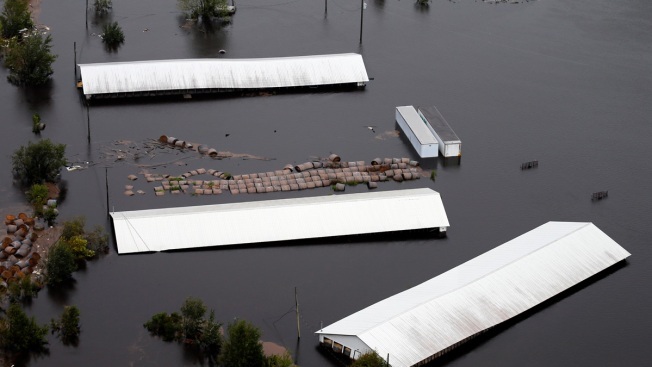 In this Sept 16, 2018, file photo, farm buildings are inundated with floodwater from Hurricane Florence near Trenton, N.C. The N.C. Pork Council, an industry trade group, said the livestock losses from the storm should be taken in context. 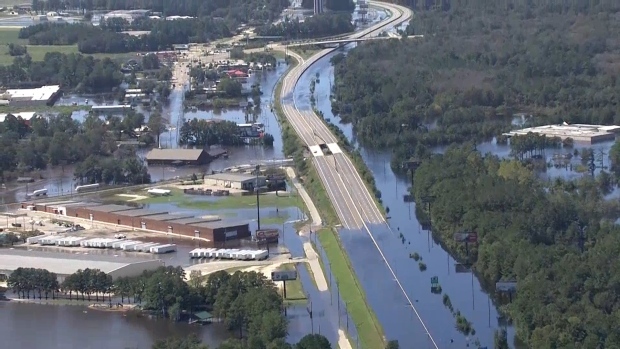 Tropical Storm Florence has left at least 5 people dead since hitting the Carolina coast on Friday.